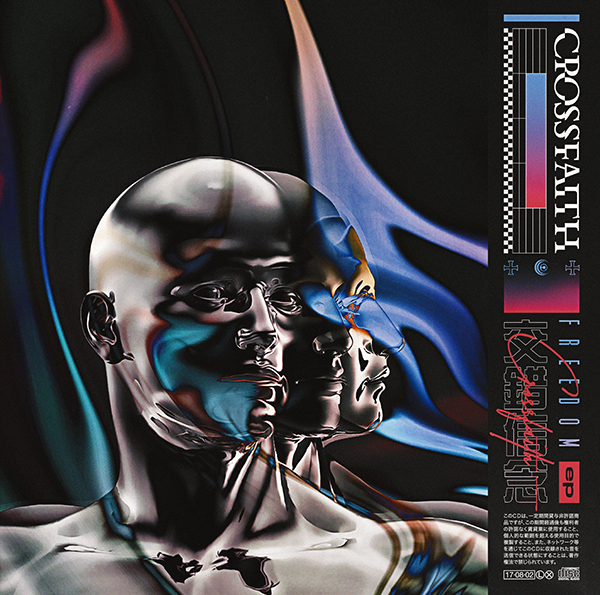 My relationship with Crossfaith has always been on an on-and-off basis, leaning rather towards the off-side. Even though I'm not a fan of electronic elements in anything that is not labeled as purely industrial, I have to acknowledge some pretty catchy moments in their compositions. So when the band dropped the single for "Diavolos" a couple of weeks back, I found myself torn between enjoying the anthemic singalongs and not being thoroughly impressed by the track itself. But let's break it down. "Freedom" contains three songs. The opening title track features Rou Reynolds of Enter Shikari. The song has a futuristic atmosphere, combining metal, electro and even rap and the use of clean vocals is rather successful choice here. Small problem; the Enter Shikari element is so strong at times that it could pass for a song of theirs. Up next is the party song, "Rockstar Steady". This one features Jesse of The Bonez and looks back to the good old true rockstar days. Groovy and catchy, is the song you'd expect to play in a metal party, there's no doubt about that. Personally, I find it more appealing that the other two tracks with the exception maybe of Jesse's lyrics, where the eye-roll was unavoidable. "Diavolos", the final track, is the heaviest of the lot. Mainly characterized by heavy riffage and the aforementioned anthemic singalong in the chorus, its structure is what you'd expect from your typical banger metalcore song designed to be played live. This EP is a hit-or-miss, it really depends on the perspective. Crossfaith has always experimented with their sound but there have been times they couldn't pull it off. I personally find that the two guest spots weren't a fully calculated move. It would've been a better choice on a full length, where they wouldn't threaten to overshadow instead of complimenting the band. Actually, it's not even about overshadowing, it feels like Crossfaith wasn't confident enough in their own skills, which I highly doubt is the case. Furthermore, the fact that the EP lasts approximately 10' doesn't fully allow the tracks to gain momentum apart from generic party elements here and there. The choruses/singalongs are likely to stick in your head for a bit, which was very well-played from the band but there exactly lies the flaw of the "Freedom"; apart from those specific moments, the rest of the tracks are not memorable. They don't build up to a crescendo, but simply rely on a pleasant vocal melody/upbeat synths/loaded drumwork to briefly catch the listener's attention and then the whole thing deflates. Overall, the EP is not horrible, but I don't see it going in my playlist any time soon.